Most people usually get around 6-8 hours of sleep at night, and what the majority didn't know is that this habit of sleeping less can contribute to weight gain. Not only that, but if you are one of those people who suffer from sleep apnoea, your chances of gaining weight are likely higher. Scientific studies about sleep effects on health revealed that people who get only 6 hours of sleep each night have bigger waist measurement than those who get 9 hours of sleep. A research team led by Laura Hardie of the Leeds Institute of Cardiovascular and Metabolic Medicine and the School of Food Science and Nutrition at University of Leeds have studied 1,615 people in Great Britain, aged 19-65, with regards to the the relationship between sleep duration and a number of quantifiable factors: waist circumference, blood pressure, lipids, glucose, thyroid hormones and other measures of a person's metabolic profile. According to Hardie's interview at ScienceDaily.com, their team found out that adults who were reported sleeping less than were more likely to be overweight or obese. In fact, their findings show that waist circumference and BMI are lowest for people who get 12 hours of sleep at night. 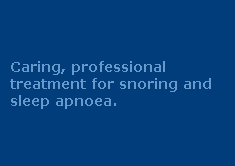 There is another new study conducted that revealed the vicious cycle of obstructive sleep apnoea (OSA) and weight gain. Of course, it is a well-known fact that obesity may cause OSA, but this new study revealed that OSA can further contribute to weight gain. Professor Ari Shechter of the Department of Medicine at Columbia University, recently published his findings in the Sleep Medicine Reviews journal. It suggests that leptin levels are abnormally higher in people with OSA which may lead to "leptin resistance". Leptin, also known as the ‘starvation hormone’ notifies your brain if you have eaten enough and if your calorie intake is sufficient. Abnormally high leptin can cause a resistance, resulting in low satiety and high hunger, which leads to excess food intake and weight gain. Even if you don’t have OSA, getting enough sleep is needed in order for you to maintain a good health and weight goals. Here are some tips to be able to help you get a good night's sleep.